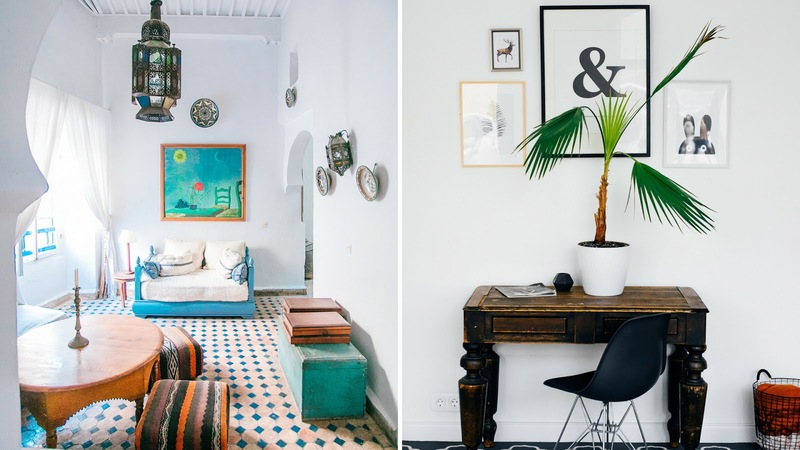 aficionado of all things oriental, you should give your home a bit of Moroccan flavor. Rugs deserve special attention when it comes to Moroccan style. Not only will they help you capture the spirit of Moroccan design, but they will also embellish your home in so many exciting ways. Beautifully woven Moroccan area rugs can be used both on your floors and walls, creating an artisanal look. Luxurious rugs bring texture, warmth, comfort and style to a space, so you should definitely let them inside your Moroccan home. 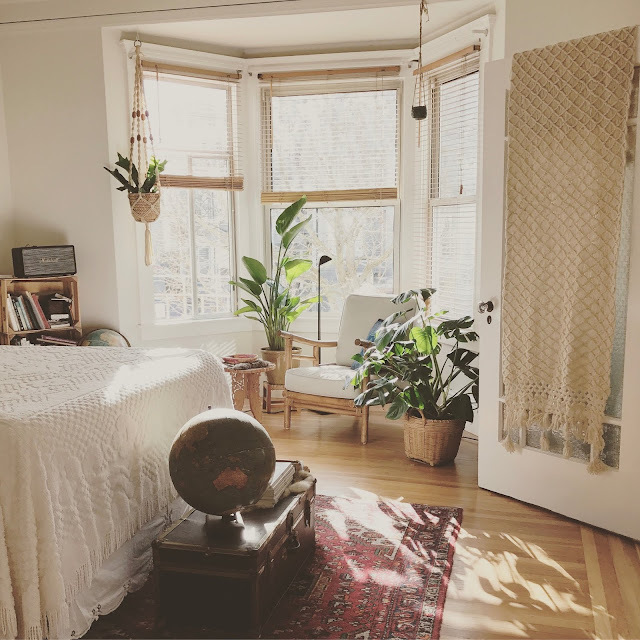 Vintage, faded rugs have a special appeal, filling your space with a unique sense of antique beauty. meandering pattern. You can also introduce floor cushions that will add another layer of coziness and texture to your space. Luxurious drapes, soft throws and opulent covers are all exotic additions that you can bring to your Moroccan-inspired home. Moroccan style and it’s used for lovely seats and chairs, chests and dressers and exotic room dividers. Featuring clean, simple lines, such pieces allow their delicate carving to take the central stage. Furniture is typically low to the ground, which creates an inviting, warm atmosphere. Room dividers, in particular, are a must in a Moroccan-inspired home. Not only are they themselves enticing details, but they also create intricate shadows as a result of their beautiful patterns. intricate designs in combination with equally stunning hues. Install Moroccan-inspired lighting Lighting is yet another important element of Moroccan style and it will help you both elevate your decor and create an exotic, intimate ambiance. Dimmed lighting is preferred in Moroccan homes and it’s typically introduced through colorful glass pendants and lamps. Fixtures made of carved wood are also used as a way to give a mystic vibe to a Moroccan space. In particular, enticing lanterns are used to bathe a space in mesmerizing shadows. Vintage fixtures are also popular as a bedside solution, while lights with mosaic patterns can truly create an exotic look. 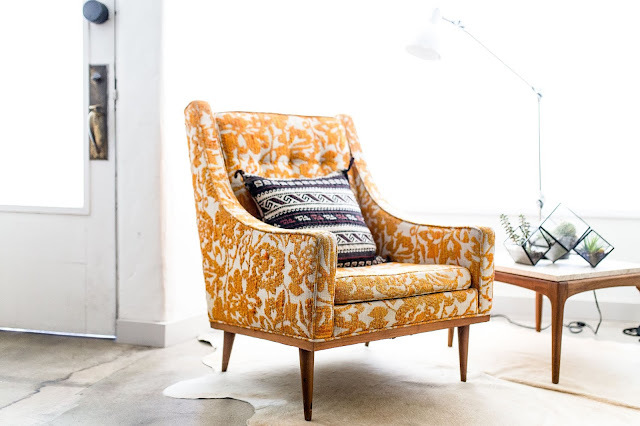 Moroccan style will bring a diversity of patterns, colors and shapes to your home. It will fill it with a rich oriental vibe where every piece has a uniquely exotic charm.